While Turtle is browsing the net in search of some one-off sneaker for his fadget-sneaker-collection (click on picture), somewhere else someone is building a new powerplant for his beloved 59. Two DVF Type III's. Guillermo's notch next to Eddy's Type 34. 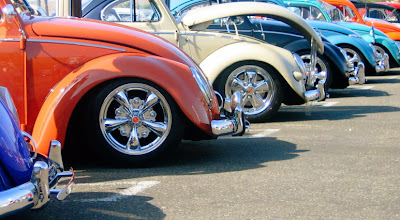 They sure have nice asses... those cars. Jelle's 67 13sec sprinter. 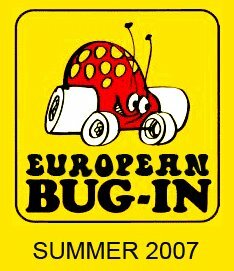 In 2004 more a replica of the SSBox, now it has the colour scheme of the Stutt Bee. Pascal's notch, back than in metallic green, now champagne. 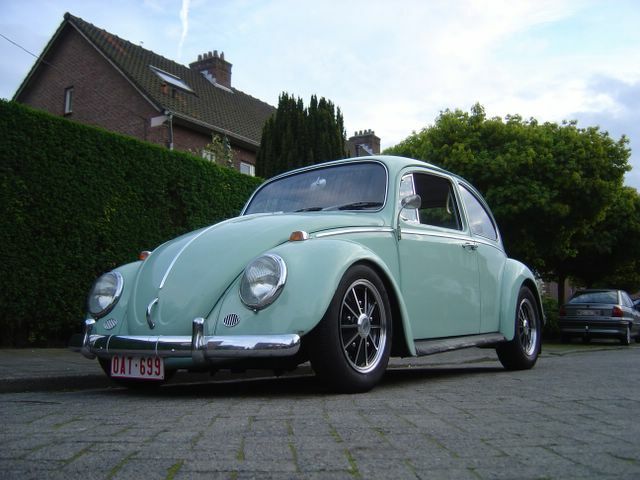 He bought it from Koen 'Geko Tuning' and later sold it to Steven 'Steve's VW Shop'. The forum has almost 600 members so a lot is going on there. Another advantage is the fact that you can find pictures of some very nice Lookers. Another DVF-blog popped out lately. The blog has been set up by Kevin. 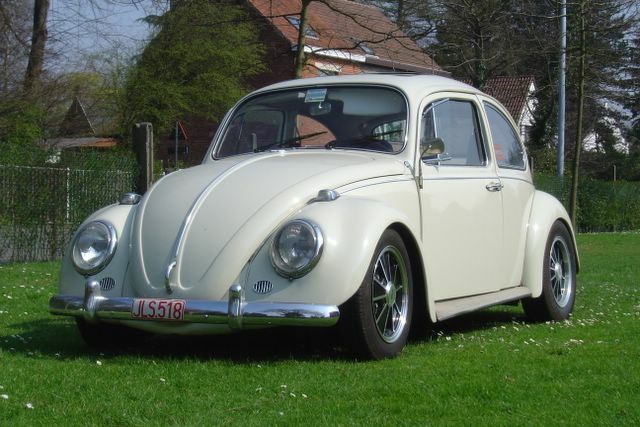 As you can see, he's an avid fan of the old Porsches but also fancies good old VW iron as he alos own a pretty solid Oval. 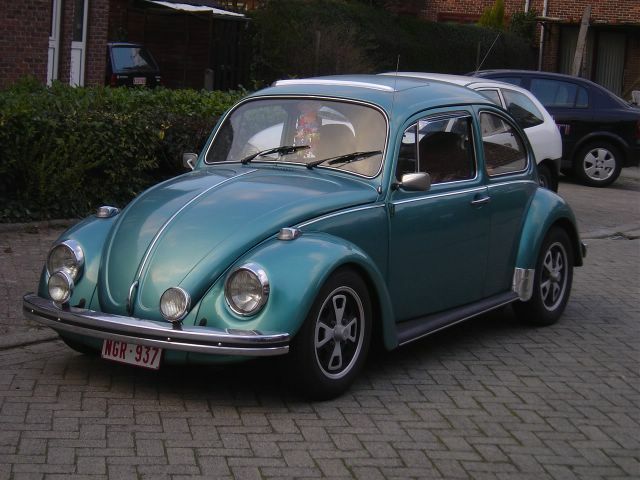 when Messies head was still crowed (boy, I almost forgot that he's allready very old), he used to drive this pale blue bug equipped with adjustable frontbeam and a set of sprinstars. 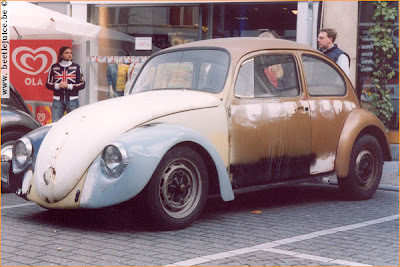 Some years ago, we tugged this bug into piece because the rot was getting everywhere and a rebuild wouldn't have been possible anymore. 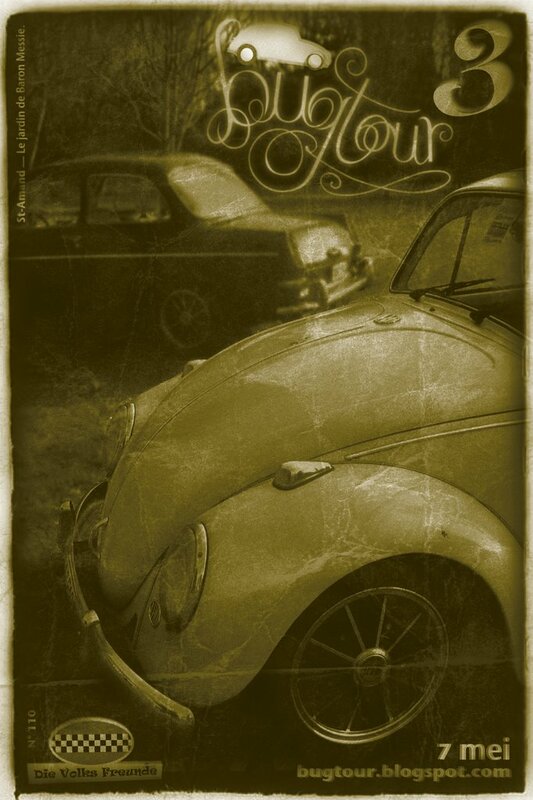 Ever since that day, Messie was dreaming about rebuilding a bug in just the same way as his first daily driver. Who's racing who in this picture? 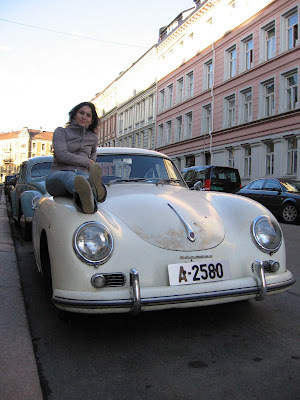 Ok, the picture is of poor quality but it was taken 'way back' in 2003. 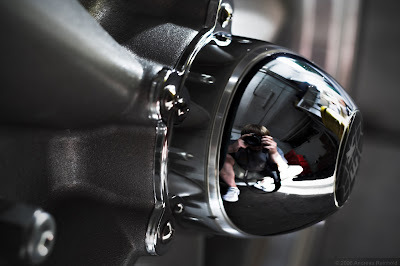 I just spotted the link to Andreas Reinhold's photo blog on another blog. The pictures are truly awesome and this guy is reallt talented. 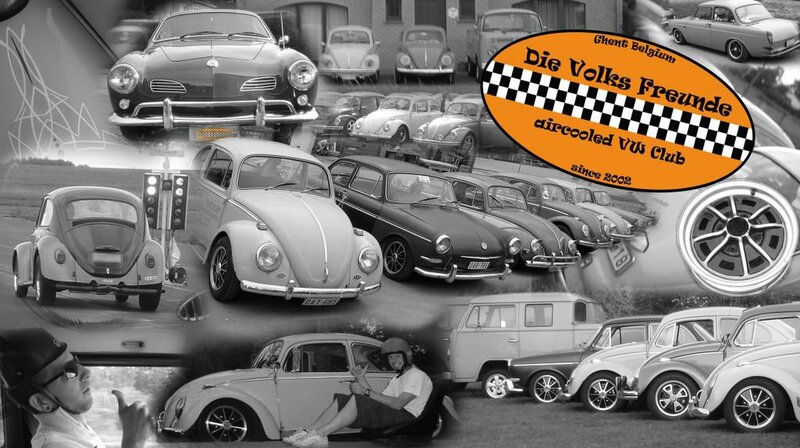 In the world of the aircooled VW Andreas is also known as Andi aka The Rookie and is a member of Garmanies leading Cal Look Club DFL. 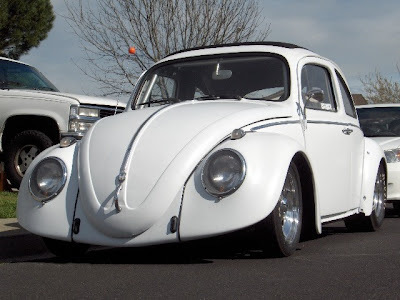 He rides a very fine Old School 64 Javagreen bug running an Enkei wheels. 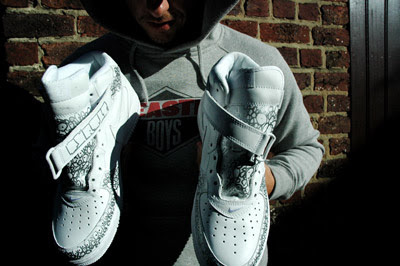 Below you'll find some more of his artwork...Big ups to Andreas. Today Daniel (papa David) and Dave invited us for an apéro at their workplace. Daniel had the place reorganised, so this was a good reason for a nice little DVF meeting. Three different generations in front of the garage. Daniel's latest acquisition. An Italian 1303 cabrio. Dimi's zwitter sleeping next to Fiele's Gemini bug. 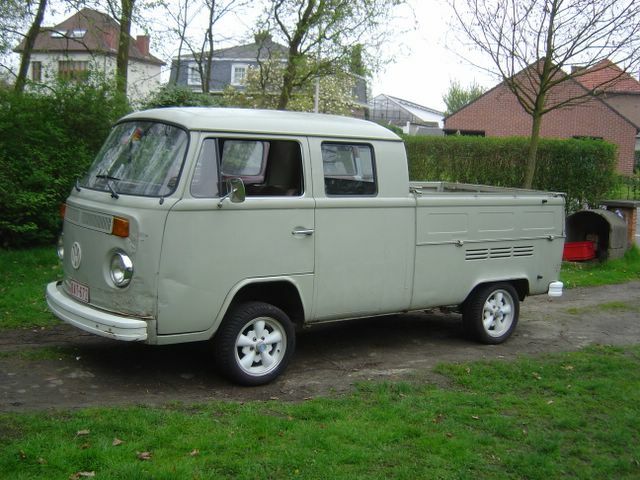 Hey Wimme, wouldn't this be a beautifull future GAS bus! 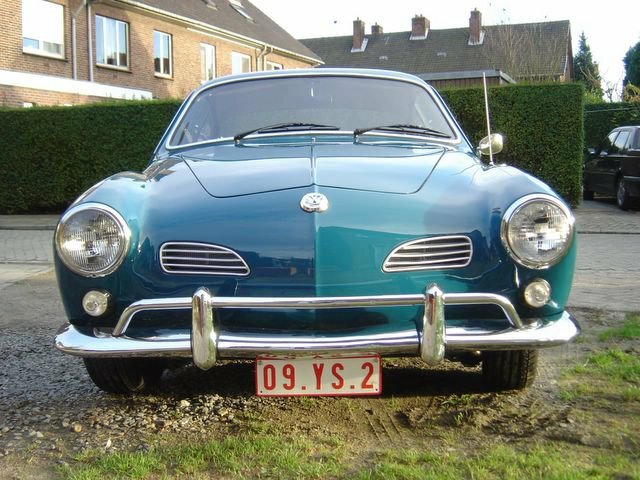 Ok not VW but beautifull enough to post. In the front Daniel's MGT and behind Dave's MGB. It was time to publish another very fine example of a Cal Look 67. 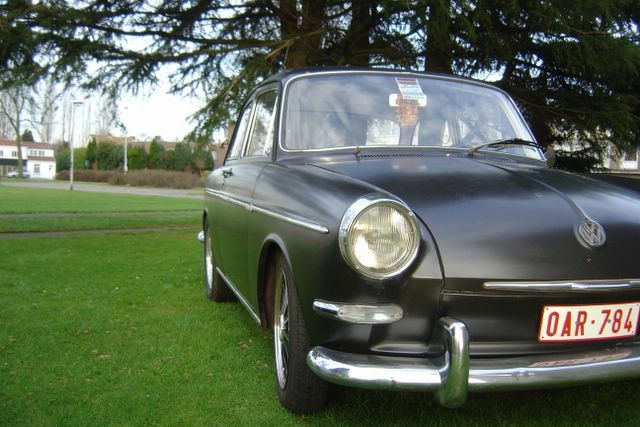 This one is an american spec 67 with upright headlamps, dechromed body and running on Centerlines. There should be more Cal Lookers around like this one . It features all the things to make it perfect: wicked stance, no trim, cool set of wheels, hot engine. 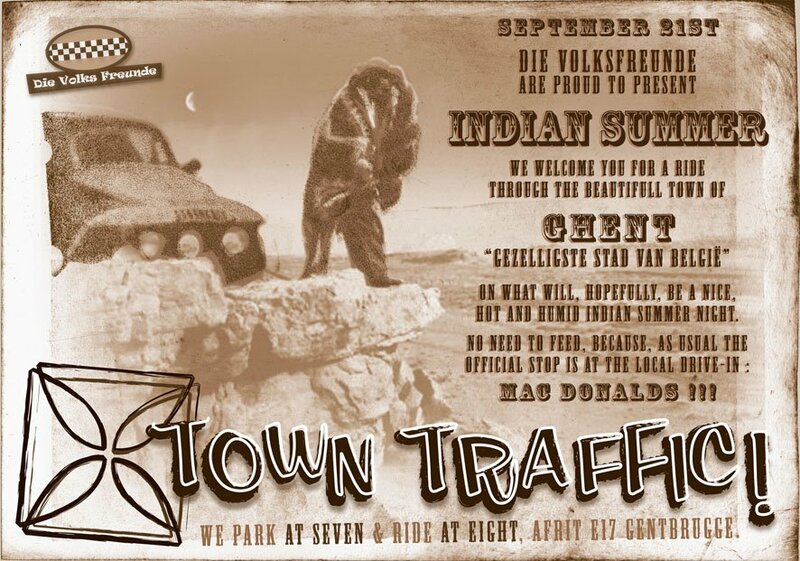 All the ingredients to make a fast run down the 1/4 mile and give it that vintage gasser look. You just got to love that simple no-nonsense in-your-face look of this awesome oval. 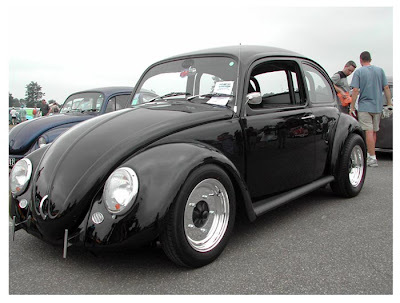 That's the look my '67 must have for the EBI!!! 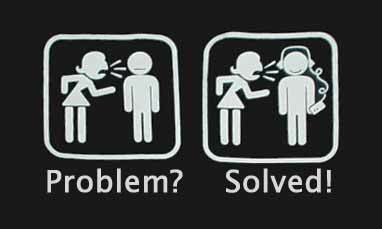 I think anyone will agree. 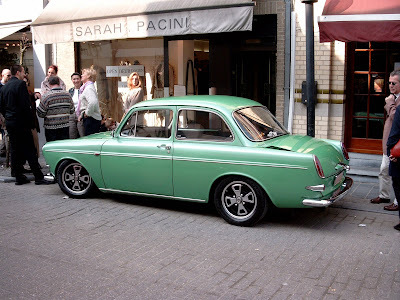 It's been a while since we've seen this nice DVF-ride on the streets. 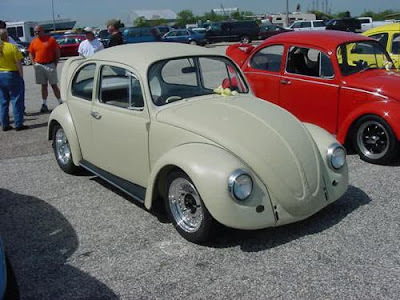 This very nice original 1300 is Dave's bug but due a breakdown some time ago, this ride has been parked in his garage. A balljoint decided to break and caused some severe damage to the perfect ride. This shot shows the damage done. Innerwing is haevely bended, as well as the wing and door. 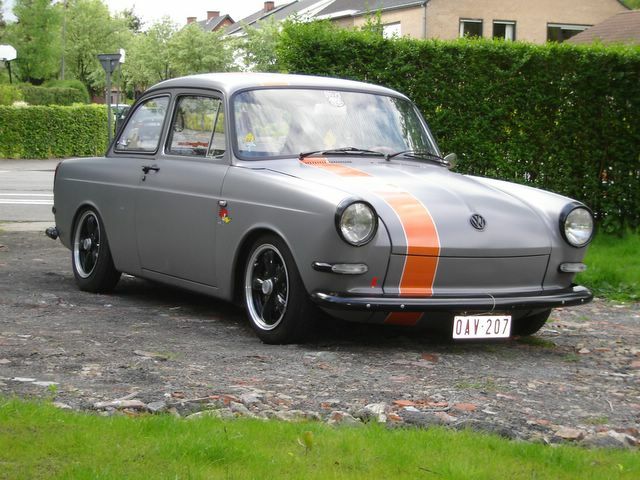 I hope to see this 1300 back on the roads in its former glory. First time I saw 17 inch Radars on a Belgian ride. The quality of the rims seems to be faultless. 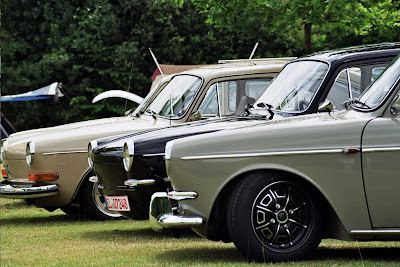 Messie allready showed you some pictures of fine ride that showed up at Affligem yesterday. Another ride that caught my attention is Peeke's (aka Ruff on Cal Look Lounge No) 64 ruff ride. Car runs on Empi's and has just the right stance. 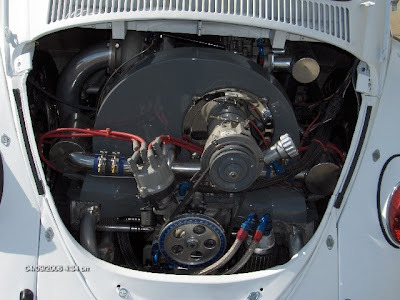 But that wasn't the only thing that got my attention: the 1.7 type powerplant running on a home-made EFI did it for me. Needles to say the engine ran very smooth alltough Peeke is still fine tuning the package. The second edition of the BKC Affligem meeting was a succes!!! Some very beautyfull and well known cars turned up. Here's a little selection of the finest cars! 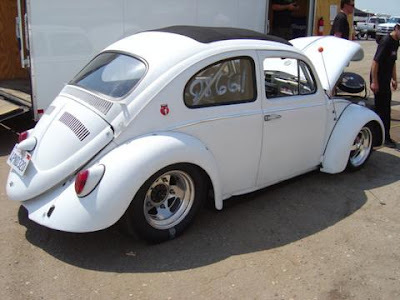 Another very super detailled ride is this oval built by Darren Dilley of Canada. 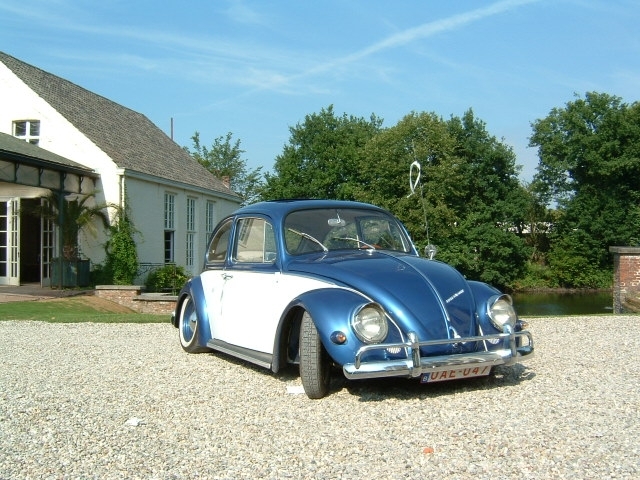 The ride is based on a 55 Ragtop and is finished to a very high standard. A few high-tech features were also trown in during the built up. 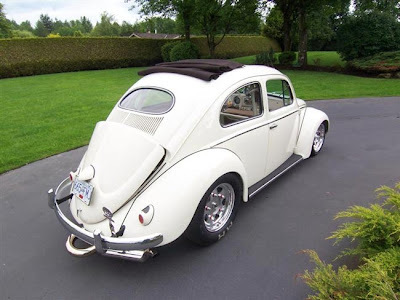 This Ragtop is powered by a very healthy 2332 cc unit breathing thru a pair of Geers-modified 51.5 IDA's. In this picture the Oval sits on Erco 'Star Cutout' rims with M&H slicks for trackuse while Flat 4 Enkeis are used for streetuse. A very nice car indeed with a subtle mixture of Old School, Hi-Tech and Custom cars makes this ride awesome. 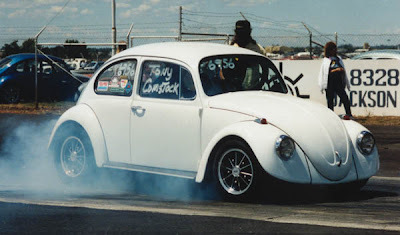 Some of you might allready heart about ACDRM.com (I allready commited a post to it) which stands for Air Cooled Drag Racing Magazine. 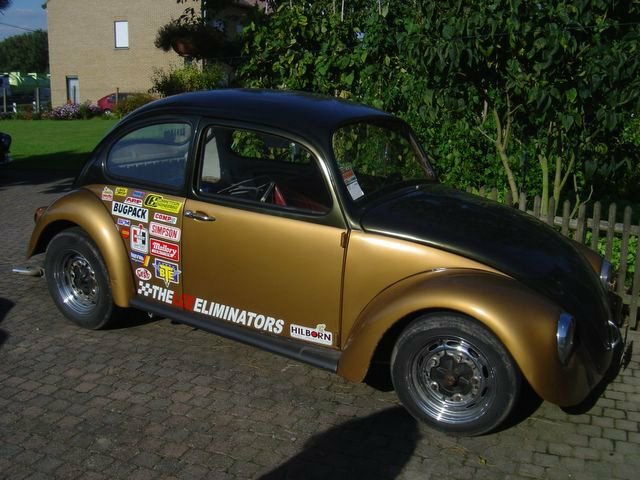 The site has seen an update for the new 2007 season and ables you to follow different VW drag race series across the globe. Each month the site features a car of the month and spotlights a driver from time to time. 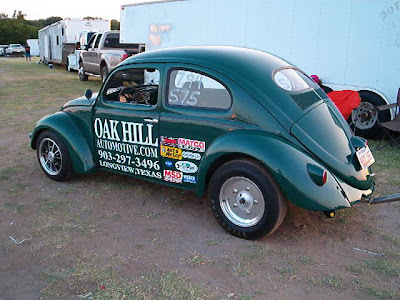 This months feature car of the month is Andrew Foldhazi' 62 bug. 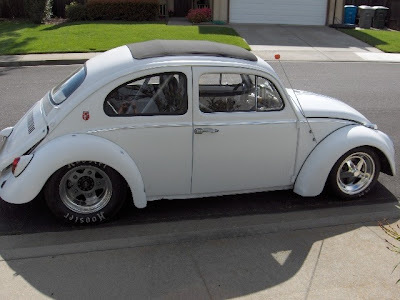 Andrew bought this car when he was 15 as a daily driver and soon started racing this bug at the age of 16. The car was then powered by a 1915 NOS-injected powerplant which got him a best time of 11.17 on NOS. 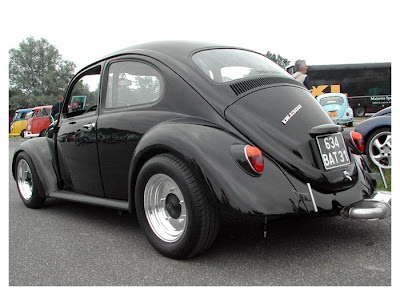 Since then, the car evolved a lot and is now propelled by a healthy 2165 turbo'd powerplant, features a full-on rollcage on a highly modified '67 pan. 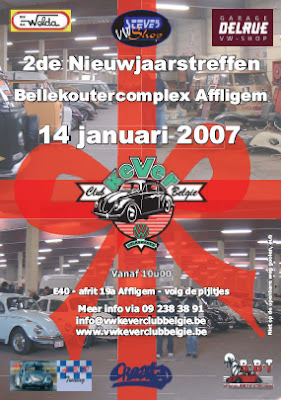 This sunday the BKC (Belgische Keverclub) organises an indoor meeting in Affligem. Just like last year DVF will be there. Today, the works on the Westfalia Fat Chick got started. First on the agenda was to get the engine running smoothly, so the balancepipe between 2 carbs was replaced because a leak was noticed. The ignition-timing was set at point, olie n filter were replaced and things sounded a lot better. Now the engine has lost its flat spot and iddles perfectly. Second thing that needed attention was the fadded paint. So with the help of a healthy dose of elbowgrease, a good polish and some patience, the paint has got her shining back. Somewhere in between our trip we had to stop due to some problems with Dimi's zwitter but Mr Bob Shaill fixed the problem. Here's a shot of the meeting. I remember there were a lot of splits and ovals. Just like Bad Camberg the meeting was held on a dull footballfield. 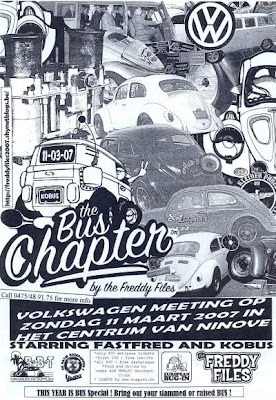 Ok, the meeting wasn't as big as BC but now and than Bob Shaill uses some pictures of the Herderen meeting in his VolksWorld column 'Kdf Observer'. 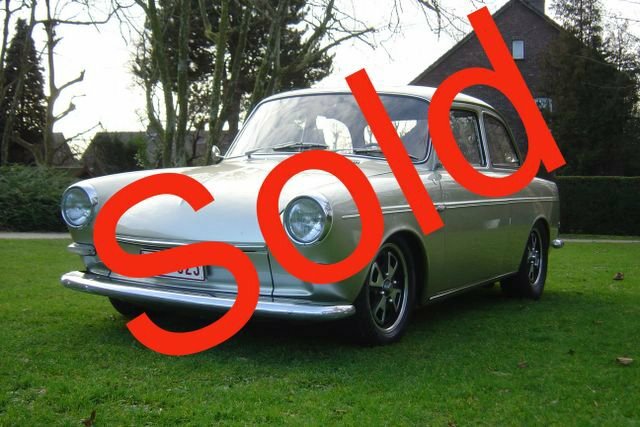 Some years later Bob sold his Stoll to the Wolfsburg Museum. detail the set of Pedrini's I have laying around for my future daily driver. I'm still in doubt and would like to know your advice.